About Nandadevi Buffer Zone---> The India highest Himalaya Mountain Peaks Top 1 is Mt. Kanchenjunga, Top 2 is Mt. 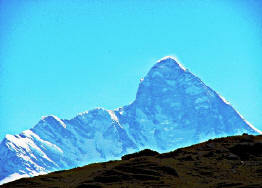 Nanda Devi and Top 3 is Mt. Kamet. Most of the tencnical and highest peaks are situated in the Uttarakhand state of India. The best of Himalayan Ranges can be cover on this trek. Summary of Trek :: This trek is one of the beautiful trek in Nandadevi Buffer zone, covering villages, culture, temples, huge dense forest, meadow, lake and Gorson Meadow and View of the top Himalayan Peaks in 180 Degree. 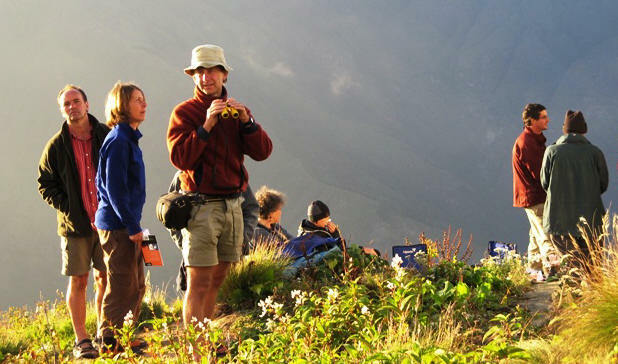 Chances of Wild life encounter as well bird watching and herbs and sherbs exploration on the trip. One Can try Overnight Camping at Jagthali Top or Gorson top and return back next morning. The best view of Mount Nandadevi, Dronagiri, Hathi Ghoda Palki and Mana peak and other above 7000 meters are visible on this trek. Pack your back pick your camera and start the real Adventure Wild Trip with us. "A Luxury Adventure & Travel Destination Team "